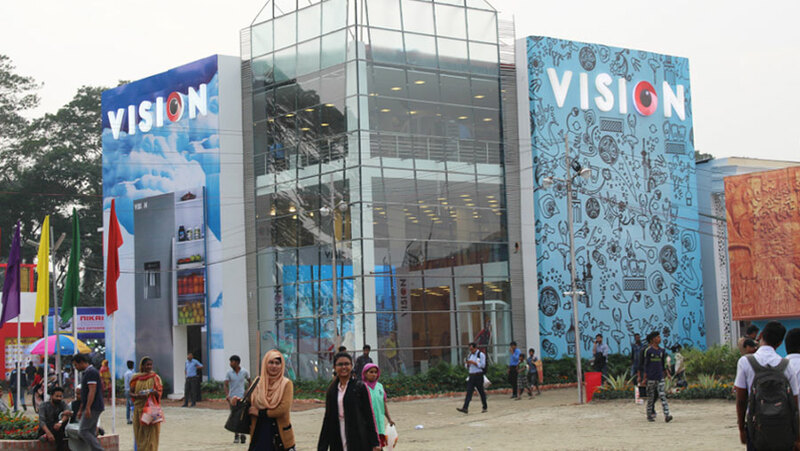 Vision Electronics, a popular brand of electronics products, has come up with huge offers for football lovers at Dhaka International Trade Fair (DITF) centering the upcoming FIFA World Cup to be held in Russia, said a press release on Sunday (Jan 14). Customers will get opportunity to visit Russia after purchasing products of Vision Electronics from its premier pavilion (No: 26). Customers will also get confirmed gifts on purchasing products including jersey of favorite team, t-shirt, football apart from instant cashback up to TK 10000. The three-storied pavilion has been adorned with over three hundred products including television, refrigerator, air-conditioner, rice cooker, blender, microwave oven, electric kettle, infrared cooker, roti maker, room heater, iron and fan.